1. Where do we stay? We use national hotel properties such as Clarion Suites, Comfort Inn and Holiday Inn. In Orlando, you will be conveniently located within 5 minutes of Walt Disney World. All our hotel properties offer free shuttle to all 4 Disney parks, saving you time and money in parking. Be sure to call reservations for specials on upgrades and additional nights. If you are planning to travel during major holiday periods, we ask that you give us at least 45 days advance notice. In Daytona Beach, there are major events such as the Daytona 500, Bike Week and the Pepsi 400, which are unavailable, however Orlando is only 55 minutes away and you can make reservations there 7 days a week, any month of the year. Condex Computer Convention in Las Vegas is also unavailable. Florida and Missouri hotels can legally accommodate 5. If you choose too, you may rent a rollaway bed for the fifth person upon check in. Nevada hotels can legally accommodate 4. 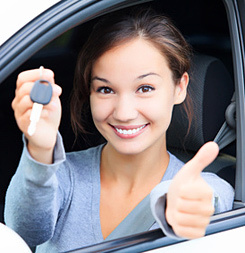 We are able to offer you highly discounted rates on car rentals. Please contact our customer service department for further details. Give us a try! Your vacation is fully transferable. 5. How can you afford to do this? When you arrive in each destination, you will be invited to attend a no obligation 90 minute resort tour. There are fantastic incentives and gifts available for touring each property. Many resorts offer a complimentary breakfast, lunch or dinner during your 90 minute tour. 60% to 70% of our customers willingly tour these properties and a percentage of those purchase. Some offers require a 90 minute no obligation tour in one or more locations. That is how we can afford to pass along to you the savings of quality vacation accommodations at discounted prices.